#OptOutside with The Mountaineers this Thanksgiving season with this list of our weekend activities and favorite places. Share photos using The Mountaineers hashtag #OurPNW to see your fellow members and their families enjoying our outdoor playgrounds! Two years ago REI made headlines with their decision to close stores on Black Friday and pay their employees to #OptOutside instead. At The Mountaineers, we couldn't love this decision more. Like REI, we believe going outside is not just good for your health - but good for your soul. That's why our employees have always enjoyed the day after Thanksgiving as a vacation day, and this year we're giving our staff an extra half-day off before Thanksgiving to get a jump start on the long weekend. As a 111-year old, volunteer-led community, we have a long history of choosing adventure. 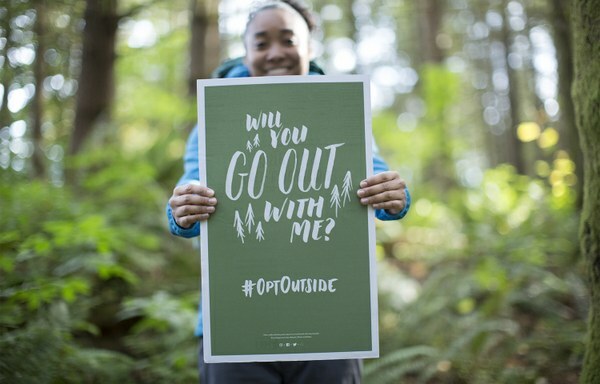 Our volunteer leaders want to help you #OptOutside this Thanksgiving - and every! - weekend. We have opportunities for you to hike, kayak, scramble, snowshoe, and go on an urban adventure. Check out our current activity listings, and remember to check back as we're listing new ways to get outside all the time. And remember, if you have a guest in town for the holiday they can create a free guest member account to #OptOutside with you. Feeling iffy about the upcoming winter season? Maybe you'd like a winter travel refresher? Take a snowshoe or ski course with The Mountaineers to ensure you're exploring safely and responsibly. Did you know The Mountaineers has three mountain lodges to let you escape for the weekend? We have ski-in/ski-out cabins at Stevens Pass and Mt. Baker. We also own our own our very own ski "resort" in Stampede Pass, operated out of our Meany Lodge (which is home to the fastest legally-operated rope tow west of the Mississippi, at a body-transporting speed of 15mph). All of our lodges will feed you and give you a comfortable bed to lay your head after a hard day skiing, snowshoeing, or relaxing in the lodge. Note: The State Parks in Washington will be free on Black Friday. Local Parks - Yes, that one just down the street! Did you know Seattle has 426 public parks within the city limits? Bellingham, Kitsap, Everett, Olympia, Tacoma, Issaquah, and the like all have similar greenspace. We have so many opportunities to explore in our own backyards and rarely make the time. Make this Thansgiving week all about exploring what's around you. For ideas, check out Discovering Seattle Parks and our Urban Trails series with Bellingham, Kitsap, and Olympia (we've got one for San Fransisco too!). You can also explore with Seattle's Stairway Walks. And our new member services representative Amanda would like to give a shout-out to Meadowdale Beach Park in Edmonds: "it's great for a low-key stroll through the woods to the beach, followed by saltwater fly fishing!" Stunning views of the suspension bridge, water roaring through the narrow canyon under the bridge on the ebb or flood tide, panoramic views of the Cascades and the San Juan Islands, and lovely hikes through old stands of trees full of winter birds. Something for everyone of all abilities at Deception Pass! A NW Forest Pass required for parking. Not one, not two, but THREE waterfalls off of Highway 2 outside of Gold Bar. Take your friends and family on this moderate hike with 1,300 feet of elevation gain and 5.5 miles round trip. Or continue on to the quiet Wallace Lake for 8.2 miles round trip and 1,500 feet of elevation gain. Learn more. Longtime Mountaineers trip leaders, Gene Yore and Mickey Eisenberg, have been exploring the off-the-beaten-path places at Mt. Rainier in a series called “Our Secret Rainier”. Check out their list for gems like Tum Tum and Comet Falls and the Skull of Marcus. Be advised that snowy conditions currently exist on Rainier, and Hwy 410 is closed. Tiger Mountain Trail is close to home, a bit less traveled than other trails on Tiger Mountain, and is a great post-Turkey Day workout. The rest of the mountain offers a number of trails and opportunities to find a quiet place as well. We also recommend Grand Ridge for mountain biking, walking, or trail running. Check out Day Hiking Snoqualmie Region for more ideas. If you get outside over the Thanksgiving holiday weekend, we encourage you to share your photos with us online using the #OptOutside hashtag in conjunction with our Mountaineers hashtag #OurPNW. Use it on Instagram, Facebook, or Twitter and we will share our favorites in the weeks after the holiday. 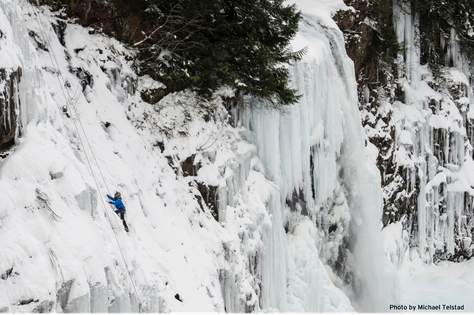 Find out where your favorite Mountaineers will be and to join them for a winter outing! Cover photo captured last year by Michael Telstad. See more of his photos here, and explore all of our Mountaineers community photos on Instagram with #OurPNW. Thanks for this...I've signed up for two activities and may sign up for a third!